Holy moly! On the 22th of January 2012 I received my second design recognition award of 2012 for a new product from my LisaMarieDesign Zazzle store. 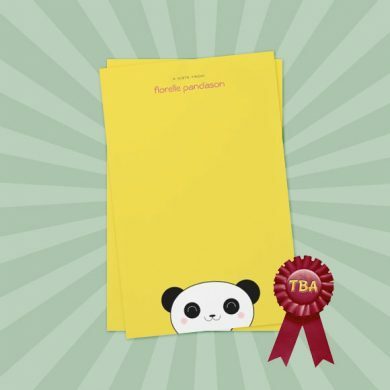 This cute animal themed note paper stationery is designed for kids and the young at heart and features a happy panda face against a yellow background! You can also personalize the pink text with your own name or you can delete all default text to create a blank page.